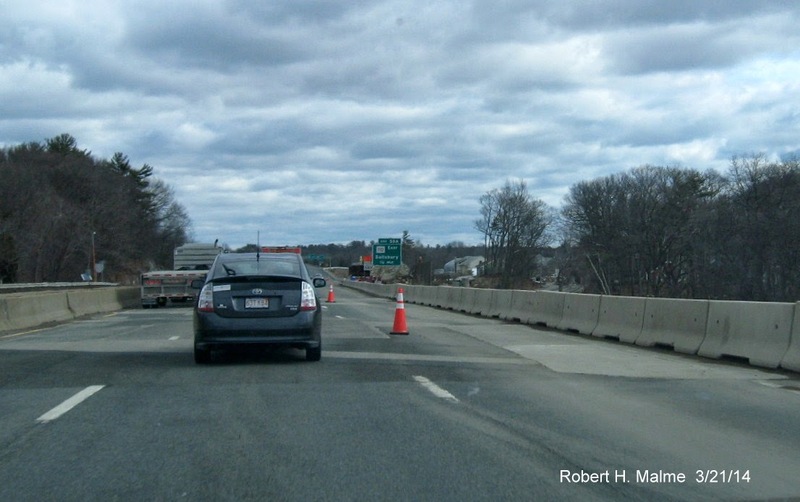 There were two lanes closed on Saturday morning, only one Friday. 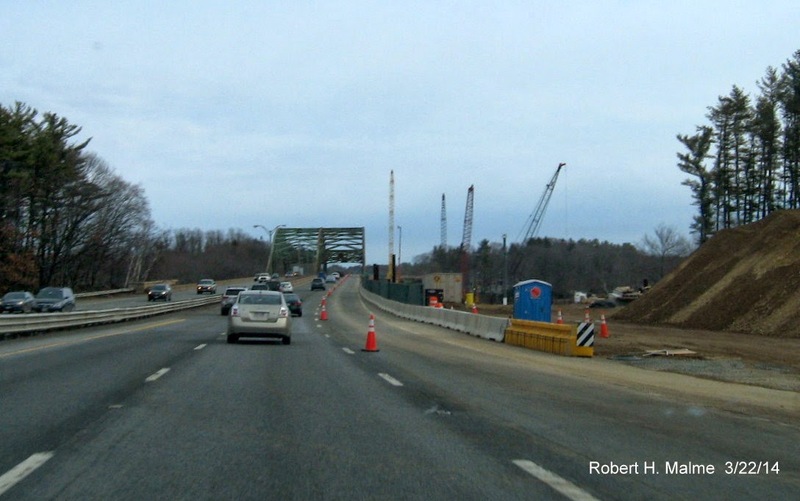 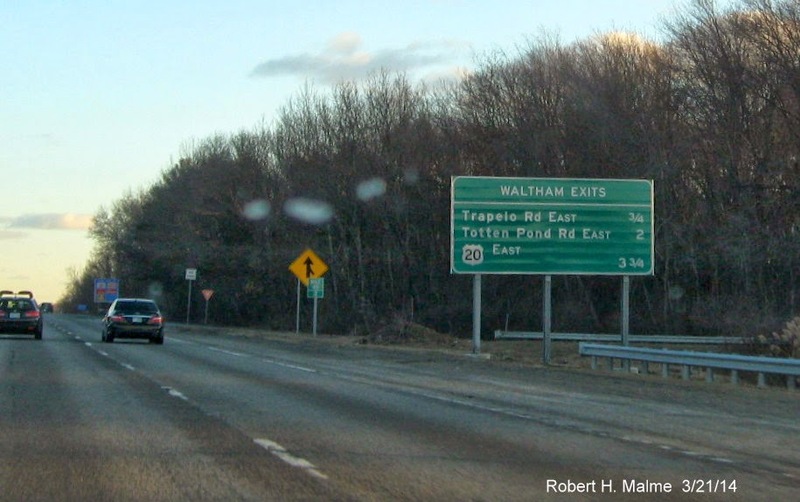 New signage had been previously placed at the Totten Pond Road exit when the bridge was reconstructed in 2012. 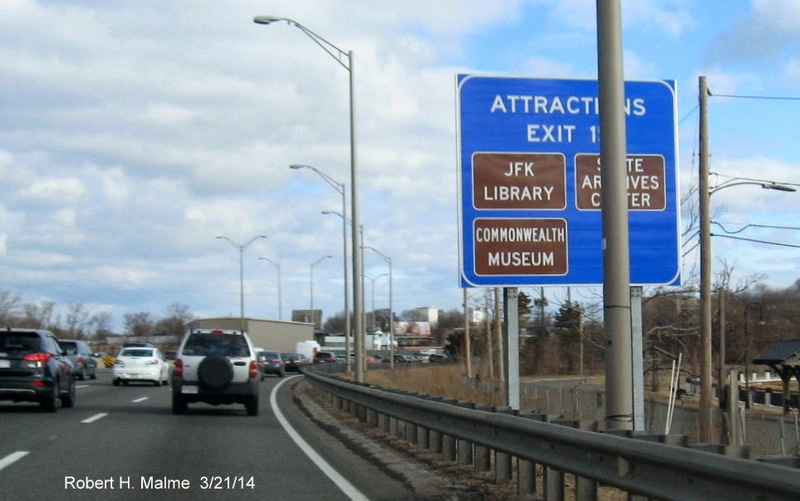 The next new signage under the current contract is for US 20. 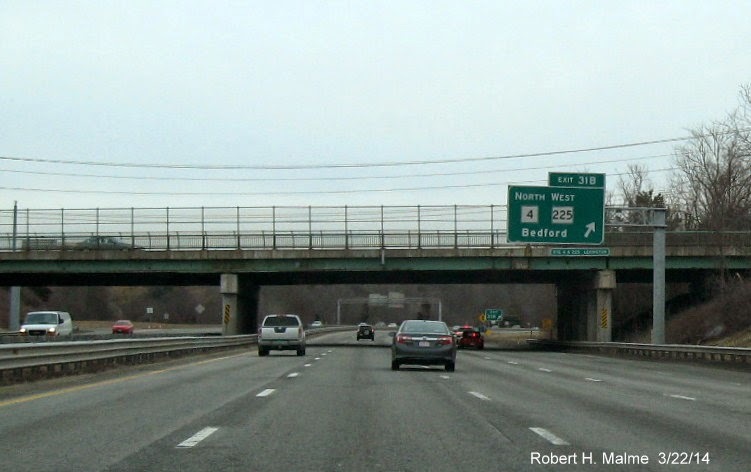 Has the banner but needs a lane for it. 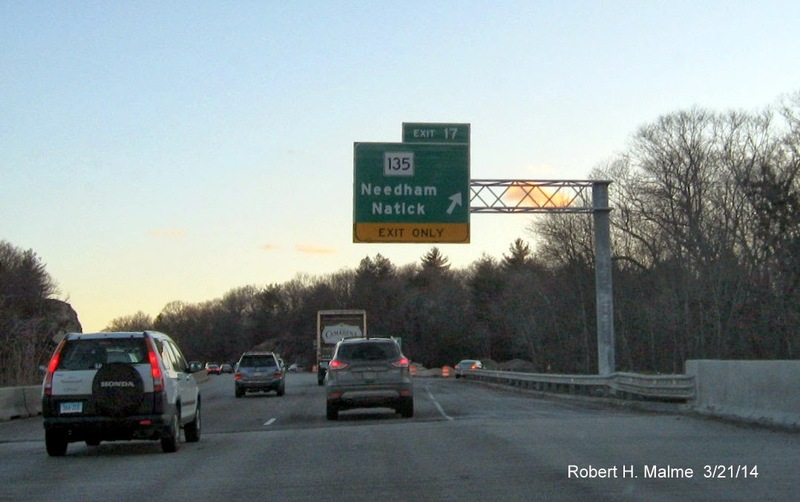 There is one more new overhead, the one-mile advance for MA 109, the rest of the signs for that exit still need to be replaced. 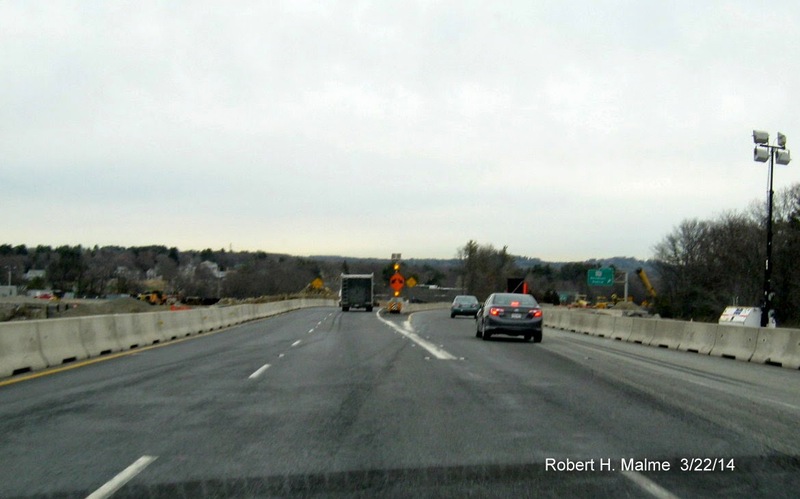 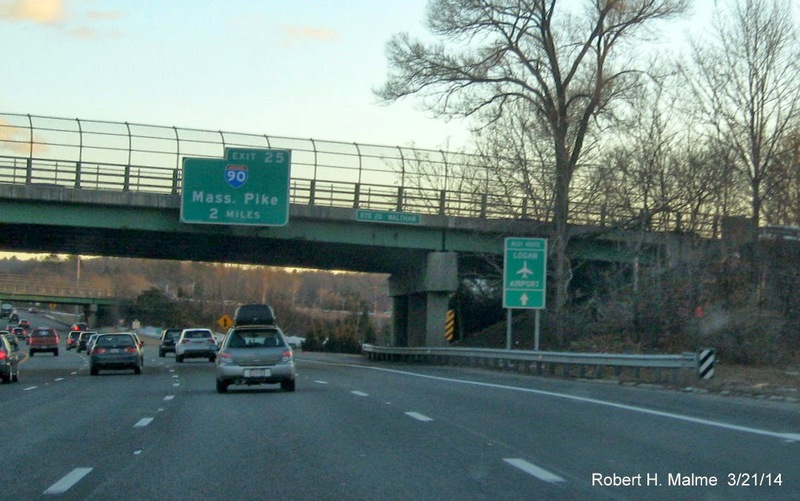 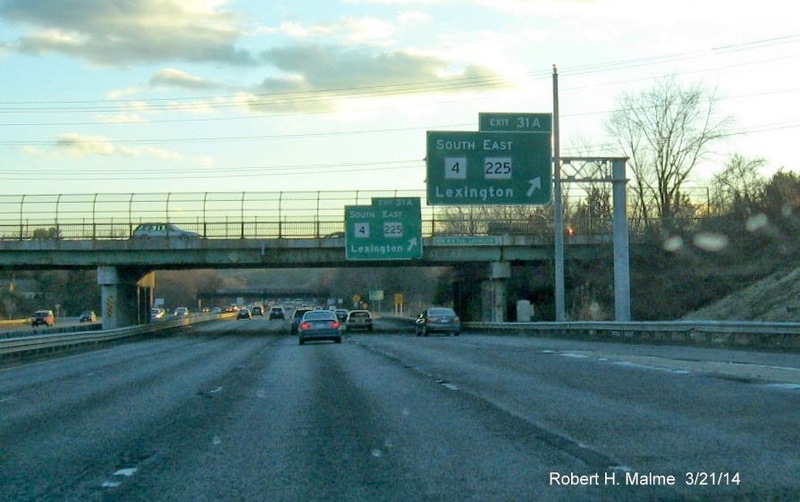 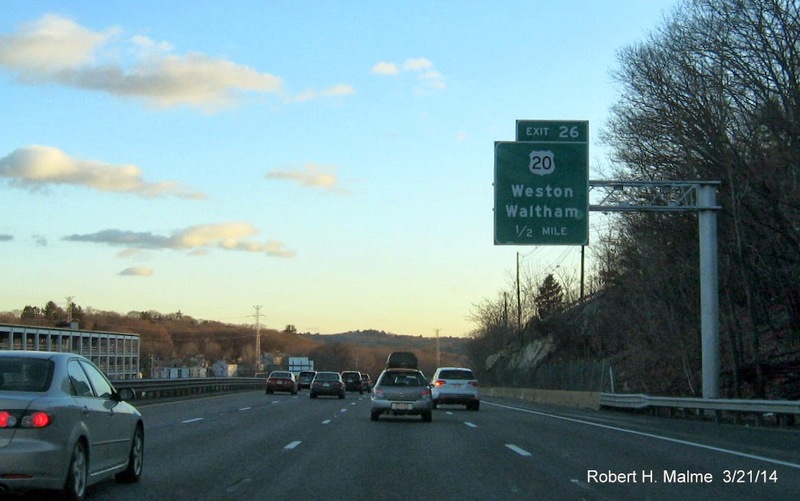 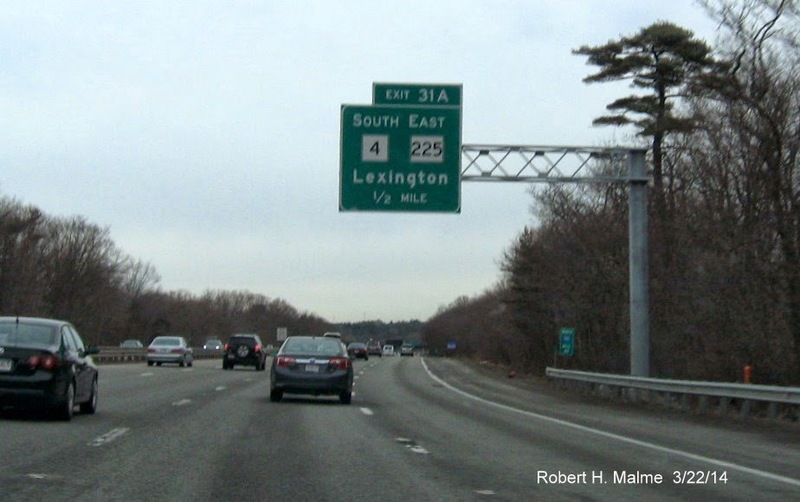 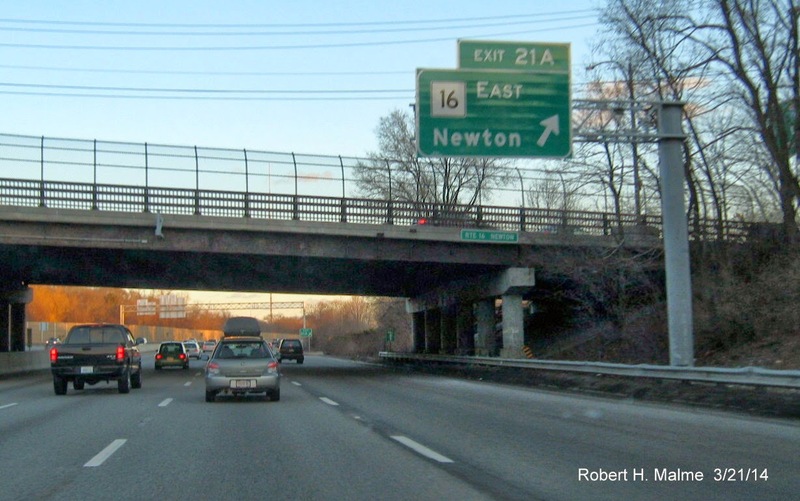 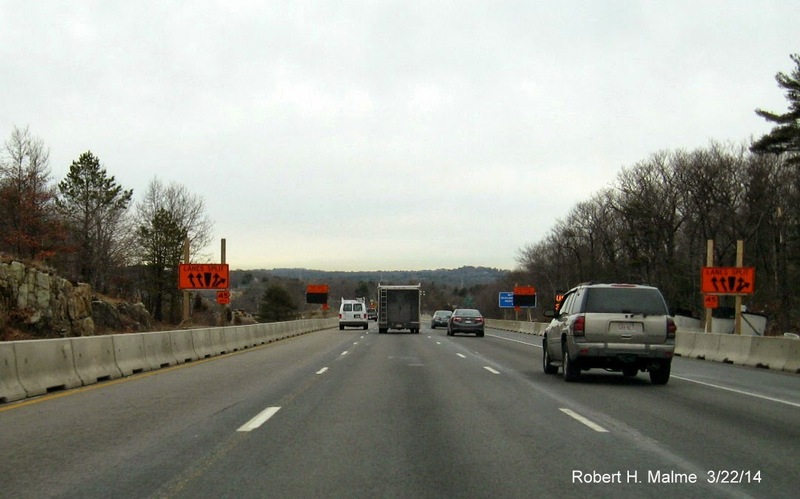 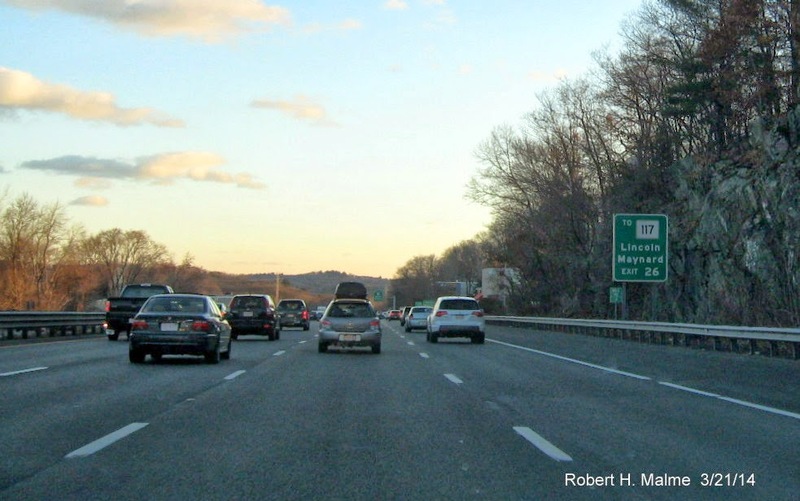 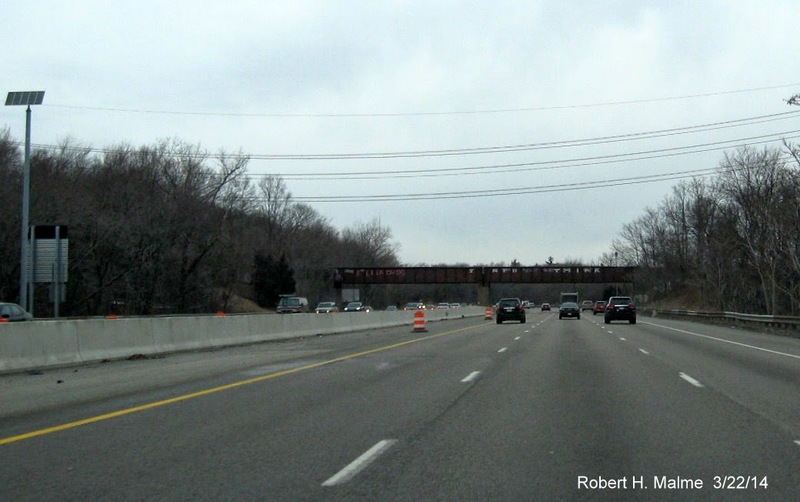 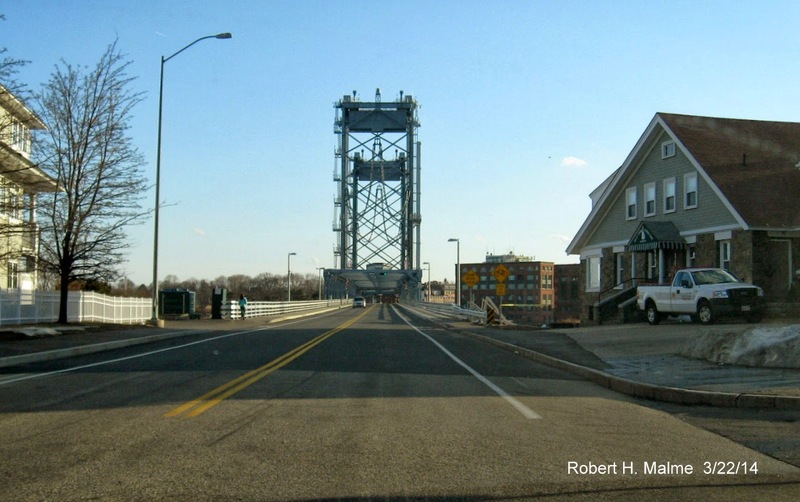 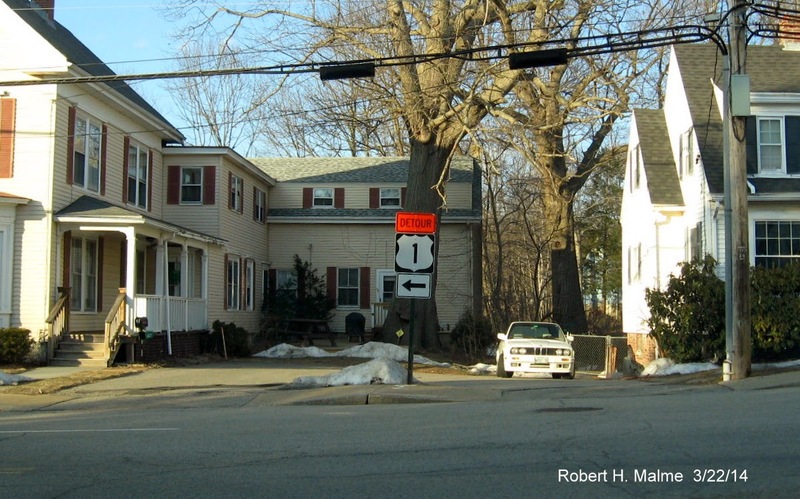 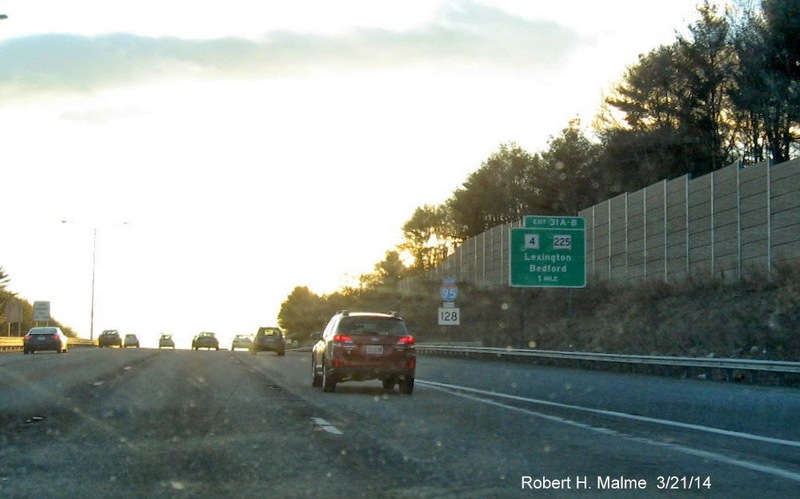 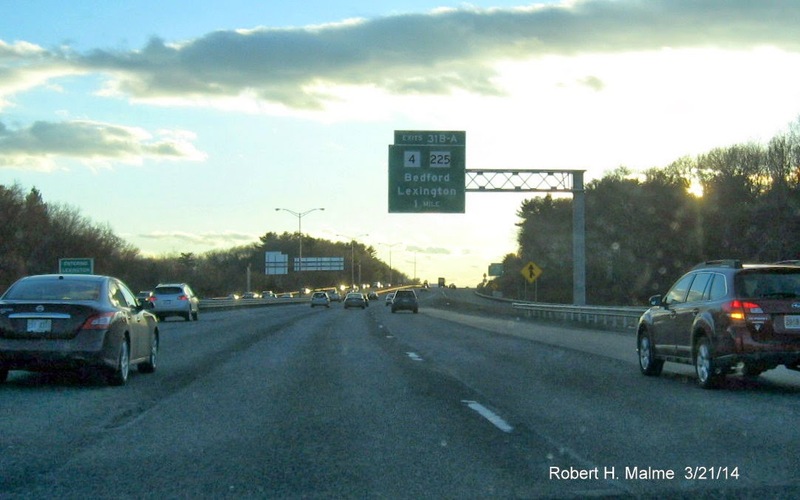 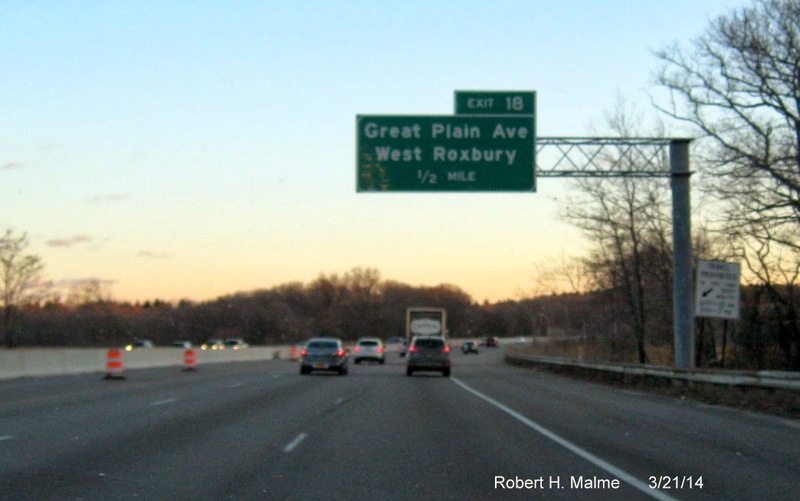 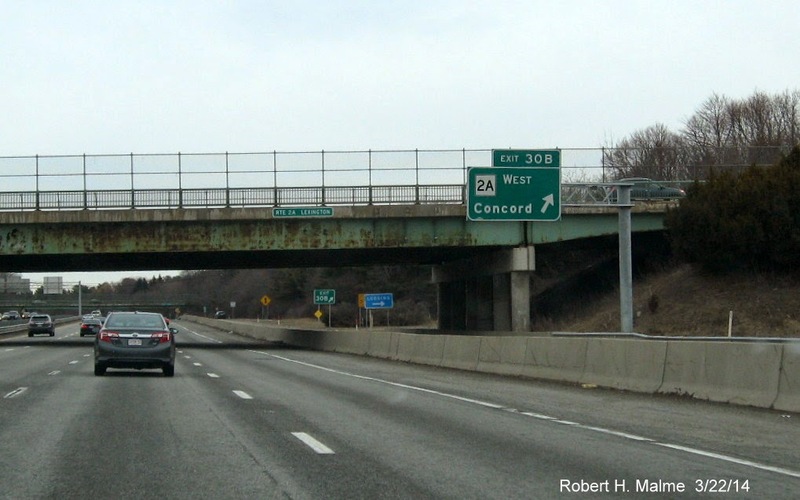 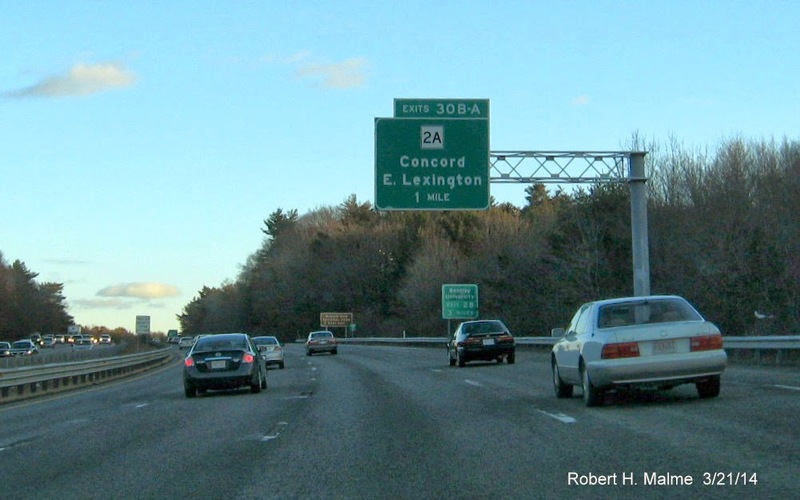 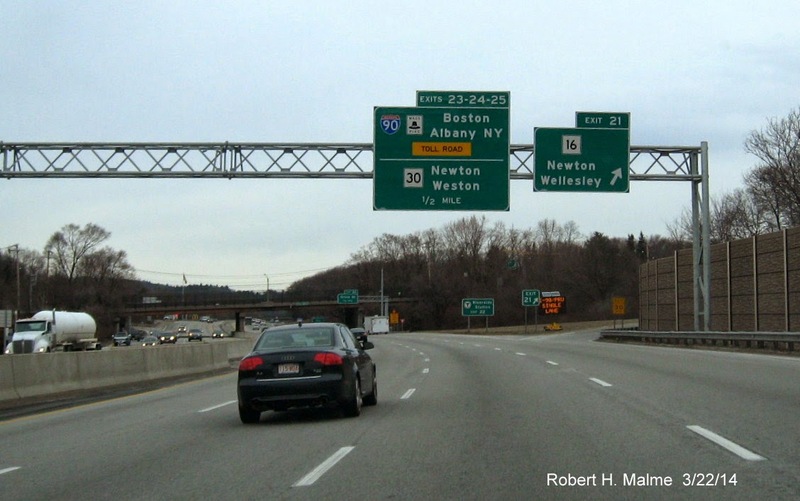 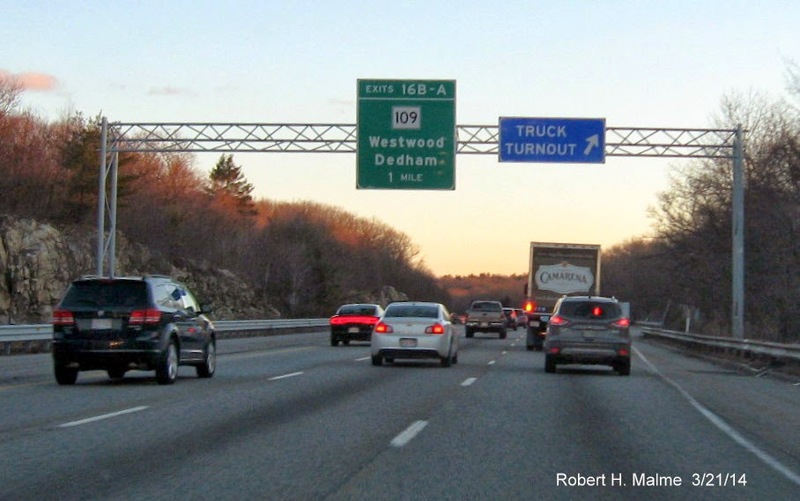 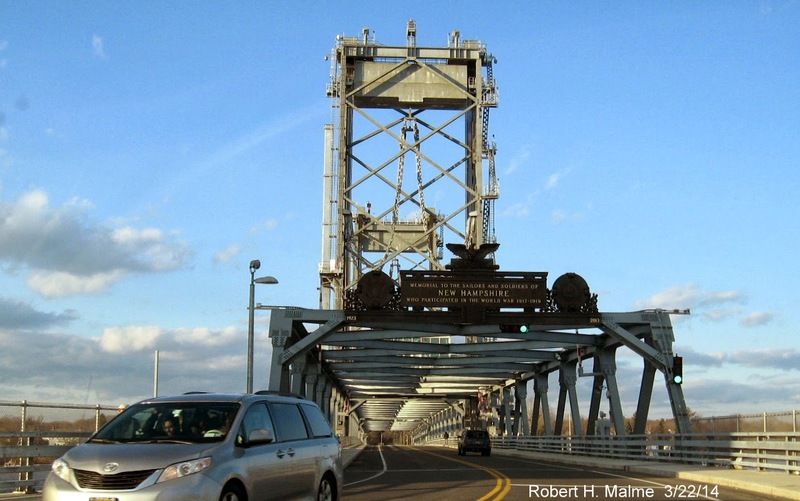 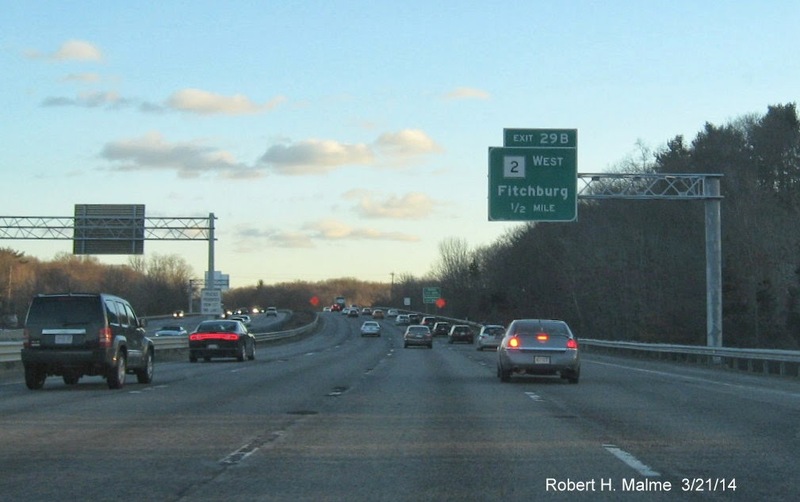 The final segment of the Add-A-Lane project to MA 9 is supposed to start later this year. 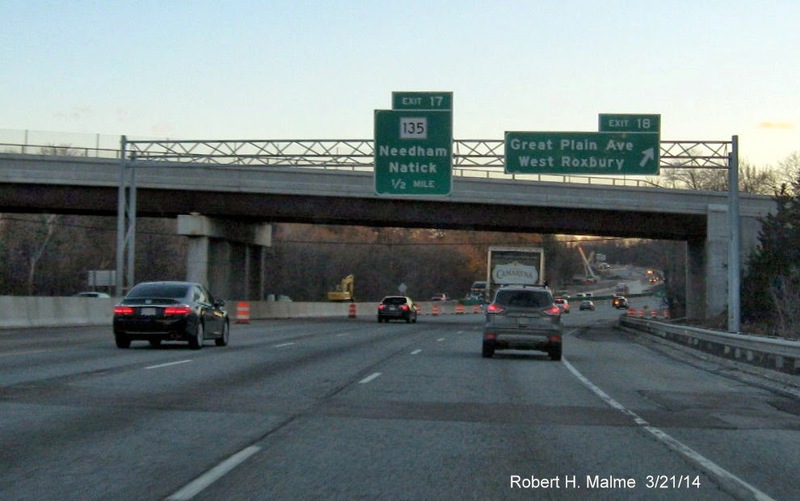 The only new section of '128' lacking new signage now is the section between I-93 and US 1 in Peabody. 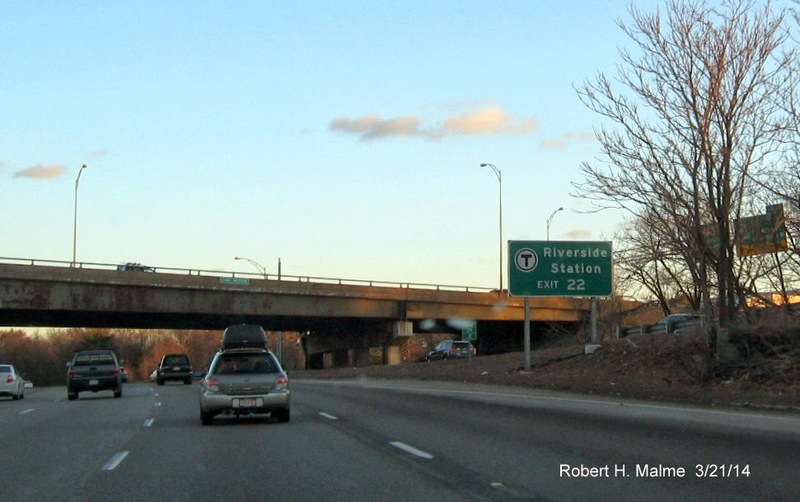 The only other section of I-95 needing a signage update, besides the remainder of the 'Add-A-Lane' project area, is south of I-93, Exit 12 to the RI border. 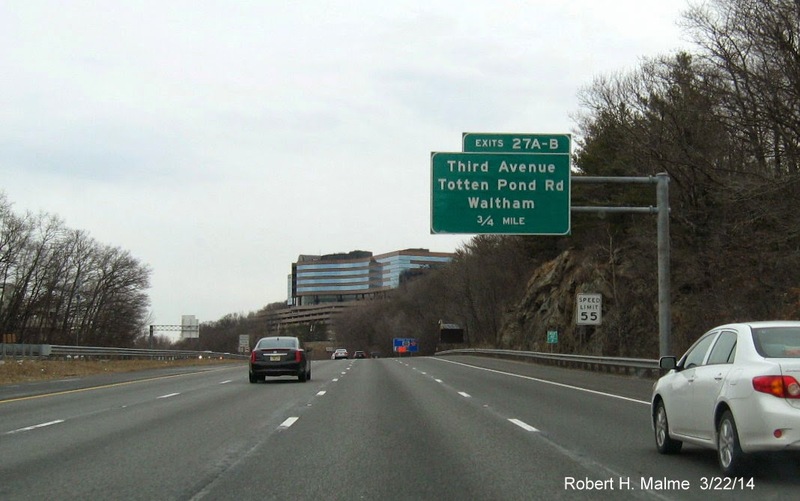 On the way home I was able to confirm most of the erroneous MA 2A signs along Mass Ave in Boston's South End had been removed following a Feb. TV report which left some Boston transportation officials with egg on their faces. 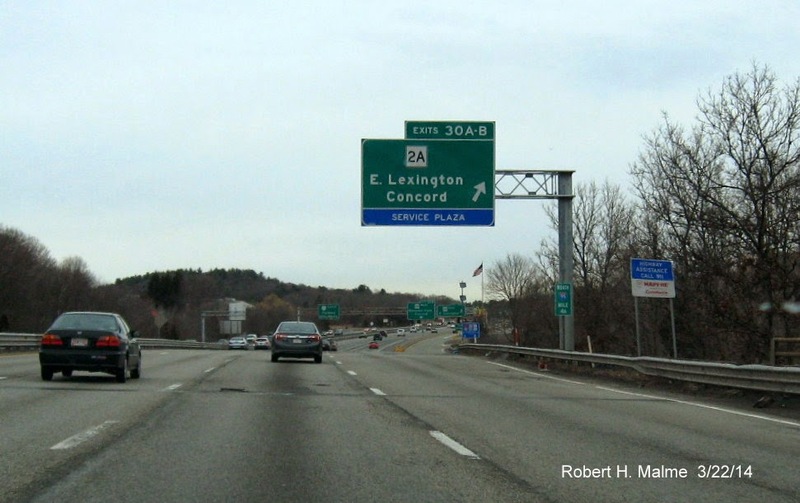 The few remaining signs have had their directional banners removed, replaced by either 'To' or 'Jct' banners. 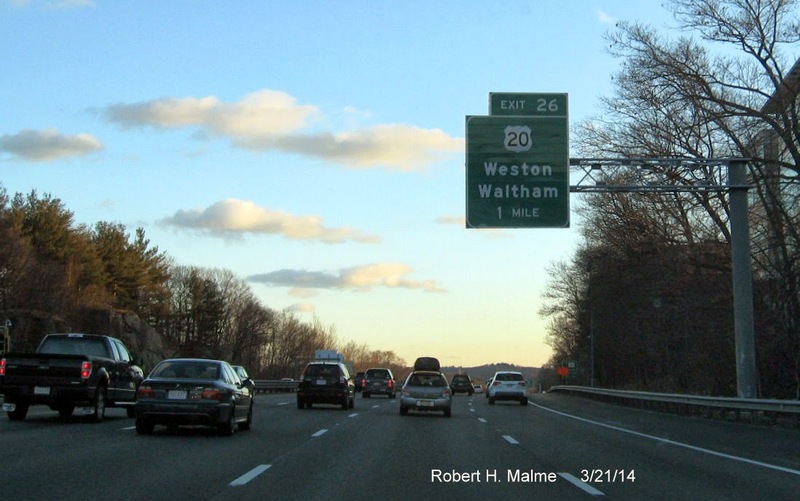 I could not get any decent photos of these remaining signs, that will have to wait until my next trip into Boston. 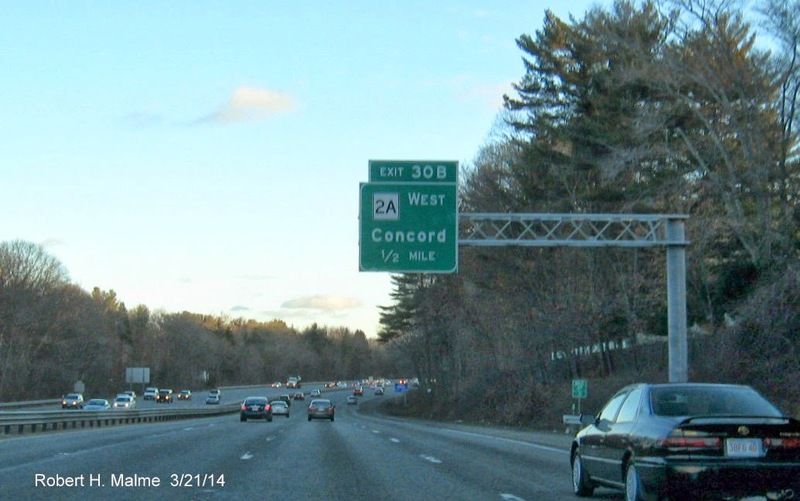 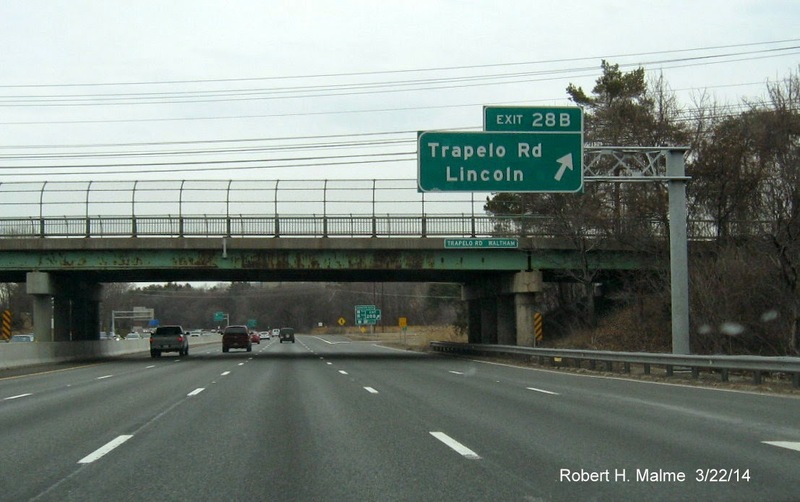 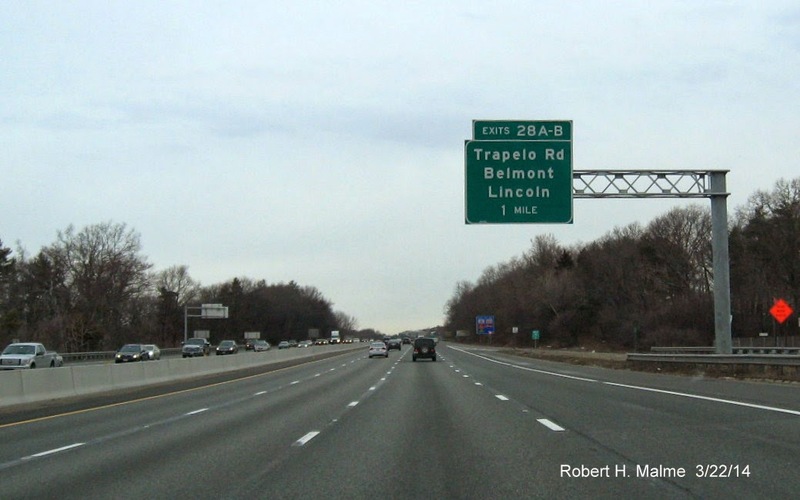 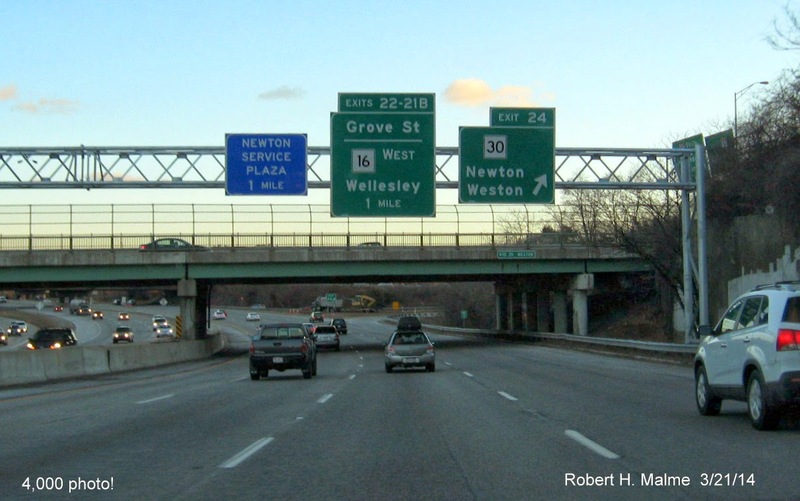 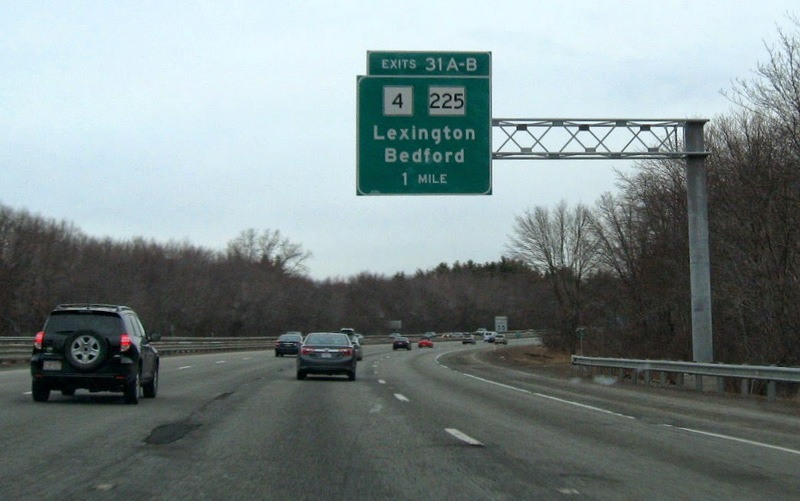 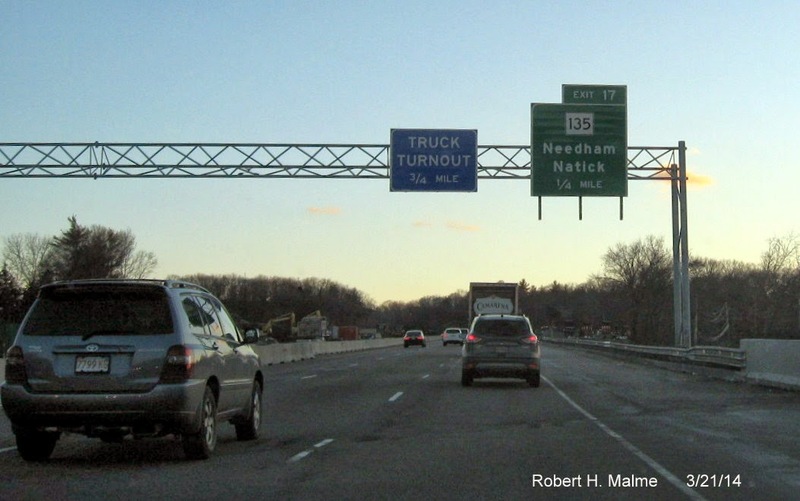 To see previous photos taken of new signage check out my I-93 Photo Page or I-95 Photo Page .